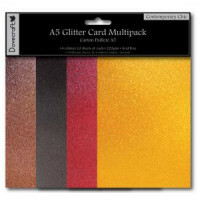 Dark Gold glitter 20g bag Perfect for adding a glitzy touch to any art or craft project. 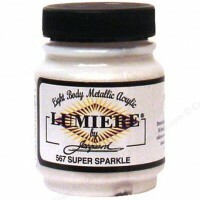 Simply shake onto wet glue or even add to paint for a great shimmery effect. Blue glitter 20g bag Perfect for adding a glitzy touch to any art or craft project. Simply shak..
Burgundy glitter 20g bag Perfect for adding a glitzy touch to any art or craft project. Simply ..
Olive Green glitter 20g bag Perfect for adding a glitzy touch to any art or craft project. 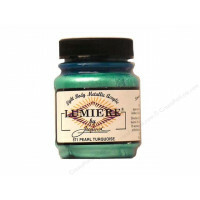 Simp..
Turquoise glitter 20g bag Perfect for adding a glitzy touch to any art or craft project. 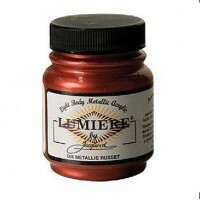 Simply..
Light body metallic acrylic paint. These paints were designed to cover dark backgrounds with light a..
Light body pearly acrylic paint. These paints were designed to cover dark backgrounds with light app..